Government Law College, Thrissur is the fourth Government Law College in the State of Kerala, which is affiliated to the University of Calicut and started in the year 1992. Centre for Business Laws (CBL) is an academic extension Centre functioning at Government Law College, Thrissur from the academic year 2013-14 onwards. The Centre offers outstanding educational programs especially for graduate and undergraduate law students for enhancing the quality of learning by experience and understanding more on contemporary issues on Business Laws. 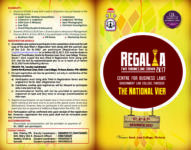 REGALIA 2K17 – THE NATIONAL VIER provides a platform for all participants in enhancing their knowledge in law and management, writing skills, art of speaking, and develop an academically excellent student community in improving the intellectual curiosity and novelty of the law students which will finally help them to build up careers of their own. The dates of the Event are on 5th, 6th & 7th December, 2017. Students of both 3 year and 5 year LL.B Courses may participate in the following events. 2. Students of B.B.A.LL.B, B.Com LL.B and students who pursue Management Courses (B.B.A, B.Com, M.B.A.) may participate in the following events. Registration fee will be Rs.500/- per participant. Registration fee must be paid as Demand Draft (D.D) drawn in favour of “Coordinator, Centre for Business Laws, Govt. Law College, Thrissur, Kerala“. Online registration shall be done by sending duly filled in registration form along with the scanned copy of D.D to cbl.glcthrissur@gmail.com on or before 28/11/2017. 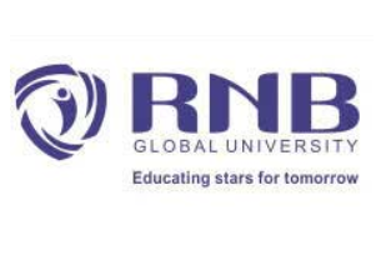 N.B: Participation will be confirmed only upon receipt of the registration fee. However, registration fee once paid shall not be refunded under any circumstances. 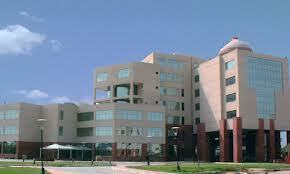 Reasonable accommodation will be provided on payment of Rs. 1000/- per participant.